Pebble will finally begin shipping its e-paper smart watch to customers on January 23, CEO Eric Migicovsky announced today at the Consumer Electronics Show. The genesis for Pebble was inPulse, a Bluetooth-enabled “ambient information display” for Blackberry that was part of YC Winter 2011. Better hardware technology and the popularity of iOS and Android resulted in a reboot of the inPulse concept with Pebble being the result. 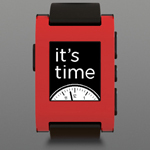 Pebble uses e-ink technology for its display and supports an SDK for third-party app developers. Pebble is the most-funded project in the history of Kickstarter, having raised over 10 million dollars. 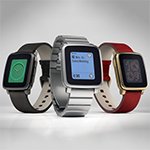 Business Insider has a hands-on first look with Pebble.